Find hotel near Aviarios Del Caribe Sloth .. Confused? You have every reason to be. The animal in front of you with either two toes or three toes is ambling around in the slowest possible manner. In the wild these animals plod along so slowly that algae grows on its furry coats and gives them a green tint which is a useful camouflage in the forest. But the sloths at the Aviarios Del Caribe Sloth Sanctuary are tended to with gentle care and love. Sloths are the world’s slowest animals, so sedentary that is built for life in the tree tops. They spend nearly all their time clinging aloft, hanging from branches with their long prominent claws. They even sleep on the trees. They are the most somnolent animals, sleeping from 15 hours to 18 hours a day. Being nocturnal they wake up for dinner at night to feed on leaves, shoots and fruits. The mission at the sanctuary is to study the sloth and to spread this knowledge and information to promote and stimulate respect from people. The sloths at the sanctuary are protected and observed. The staff at the sanctuary studies these animals, cares for them and organises and carry out scientific research and analysis on their habitats throughout the country. Modern technology had helped to expand research and develop a humane programme to teach hand reared sloths the skills necessary for survival in the wild. The loss of habitat is of grave concern and in order to raise awareness about these creatures, the sanctuary built a Learning Centre in 2004. The public is made aware of the plight of these gentle creatures by the educational facilities available in the sanctuary. A year later a clinic was built with a kitchen, laundry, quarantine centre, and a nursery to hand rear orphans. It hopes to reach out globally to help protect these species and partner with rain forest and wild life researchers on an international level. Children benefit from such research and educational programmes regarding the sloths. They are taught about how to preserve these extraordinary animals for the generations ahead. Other than the tours, you can walk down the well maintained jungle trails on your own. If you take a bus to the sanctuary be sure to tell the bus driver or you might miss the sanctuary. Open to the public Tuesday through Sunday (closed Monday), gates open at 8 am; last tour begins at 2:00 pm. A new tour begins every hour on the hour. A reservation is not needed. The tours offer breakfast and lunch depending on which tour you have picked and photography is free. There is a B&B accommodation available within the sanctuary but booking must be done well in advance. Arrive 15 minutes before the tours. Donations worldwide in looking after these wonderful species are welcome. There are 2 tours available: Insiders Tour – Choose 1 of 2 Options- The Breakfast tour, The Lunch Tour. The other tour is the Buttercup tour. The Buttercup tour- Adult USD 25, Child below 4 free, 5-11 years USD 15, 12 and above -USD 25. Bus from San Jose via the bus to Sixaola Panama. Easy ride and Interbus but reservations have to be made ahead of time. 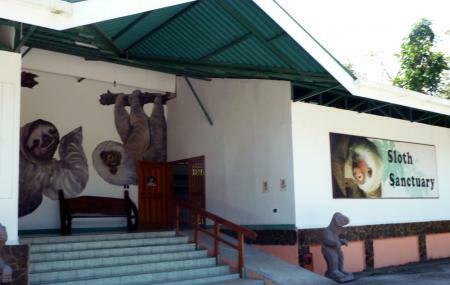 How popular is Aviarios Del Caribe Sloth Sanctuary? People normally club together Tortuguero National Park and Playa Negra while planning their visit to Aviarios Del Caribe Sloth Sanctuary. People also prefer to end their day with Aviarios Del Caribe Sloth Sanctuary.